Cal­gary exper­i­men­tal group Braids, formed four years ago when its mem­bers were in high school, released their sec­ond album, Native Speak­er, on the 18th. The band’s first album on a label, Native Speak­er is a deeply col­or­ful album that, cer­tain suc­cess­es aside, doesn’t quite pull off its exper­i­ments as well as Braids might have hoped. Native Speak­er begins with the intrigu­ing beat of “Lemon­ade,” a heav­i­ly syn­thet­ic style that would favor waves of sound and slight, mean­ing­ful changes. Unfor­tu­nate­ly, those waves and changes nev­er come. While “Lemon­ade” is inter­est­ing, it becomes less and less inter­est­ing as the track pro­gress­es due to a severe lack of any inno­va­tion beyond what was already present at the start of the track. And while each track on the album may be mar­gin­al­ly unique, they nei­ther stand on their own nor work with one anoth­er par­tic­u­lar­ly well. All that comes with the end of the album is a feel­ing that maybe “Lemon­ade” was only inter­est­ing because it was the first track. 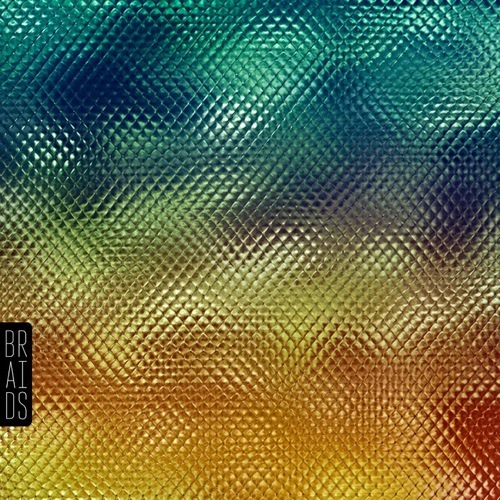 If Braids aimed for min­i­mal­ism, they cer­tain­ly took the genre quite lit­er­al­ly. Minimalism’s suc­cess lies in accent­ing even the most sub­tle changes such as an added lev­el of har­mo­ny, an instru­ment drop­ping out, or the melody evolv­ing - exceed­ing­ly care­ful­ly - in some man­ner. If those changes were present on Native Speak­er, they cer­tain­ly weren’t any­where near read­i­ly dis­cerned. To be fair, the band does on occa­sion seem at least some­what capa­ble of chang­ing instru­men­ta­tion, though that abil­i­ty wanes when­ev­er vocals are present. Their occa­sion­al­ly dubi­ous union with instru­men­tals aside, there’s an odd degree of vari­a­tion in Native Speak­er’s vocals. “Lemon­ade” fea­tures sol­id vocals, with a care­ful tone that comes off quite well, espe­cial­ly with the lay­er­ing behind it. After that track, though there are moments where the vocals echo their ear­ly suc­cess, they tend to lev­el out, blend­ing into for­get­table instru­men­tals to a degree that is gen­uine­ly regret­table. From time to time, that fair­ly banal approach is replaced with a sort of echo­ing shriek that, unfor­tu­nate­ly, is near­ly painful in its com­bi­na­tion of cacoph­o­ny and inten­si­ty. Giv­en that the major­i­ty of Native Speak­er’s vocal style involves blend­ing into the instru­men­tals, it’s not alto­geth­er sur­pris­ing that the lyrics wouldn’t come through much either. When they do, they range from ill-advised to sim­ply mediocre. Lines like “There are black dia­monds in your eyes / And just so you know, your skin is scal­ing” don’t come off in quite the poet­ic man­ner in which they were hope­ful­ly meant, and a line like “What do you say to a man who’s got no taste / Who’s real­ly got no poten­tial / Except to pro­cre­ate so inessen­tial” is more of an unin­spired, the­saurus-aid­ed attempt at rhyming than any con­ceiv­able sort of suc­cess. As a whole, Native Speak­er is unsuc­cess­ful, and very few tracks on the album could be con­sid­ered inter­est­ing in their own right. The com­bi­na­tion of unmov­ing, dreamy instru­men­tals and incred­i­bly unstruc­tured, occa­sion­al­ly inde­ci­pher­able vocals is, not exact­ly sur­pris­ing­ly, the cul­prit behind the album’s fail­ures. With quite a bit of bad, and very lit­tle good to work against the rest, Native Speak­er is not only unsuc­cess­ful, but fair­ly dif­fi­cult to enjoy.